With every new year comes another opportunity to work on one of our favorite shows: Mountain Men. We’ve done cell animation and living paintings, so for 2018 we took on a new artistic approach- an entirely CG hand crafted world made from tactile materials. Our initial concept was that Nature is the Thread that Connects us All. The dirt and grass to the beards and bear traps, were to be created from natural fibers like rope, yarn and burlap. As we move through the story, everything is woven by the threads that make up the world and characters. When we approached History with our idea, they were immediately excited to see more. Our first phase of the project was seeing what our characters would look like as if hand crafted from threaded materials. We began with concept art for our first character, Eustace. We followed up with the three additional characters- Tom, Marty and Morgan. After getting the look of our characters in a great place, we began to design out each environment they would dwell within. We had a ton of fun designing entire scenes made entirely of woven materials. After finalizing our concept art we moved into look development. We worked out every last detail down from the stitches to hairs on every thread. It was an awesome experience as we began to see our creative vision coming to life. What is great art without a story? Knowing we had a lot of story to tell in only 30 seconds we went through several revisions before everything clicked. The next and most complicated step was bringing all of the pieces together and breathing life into the characters and environments. 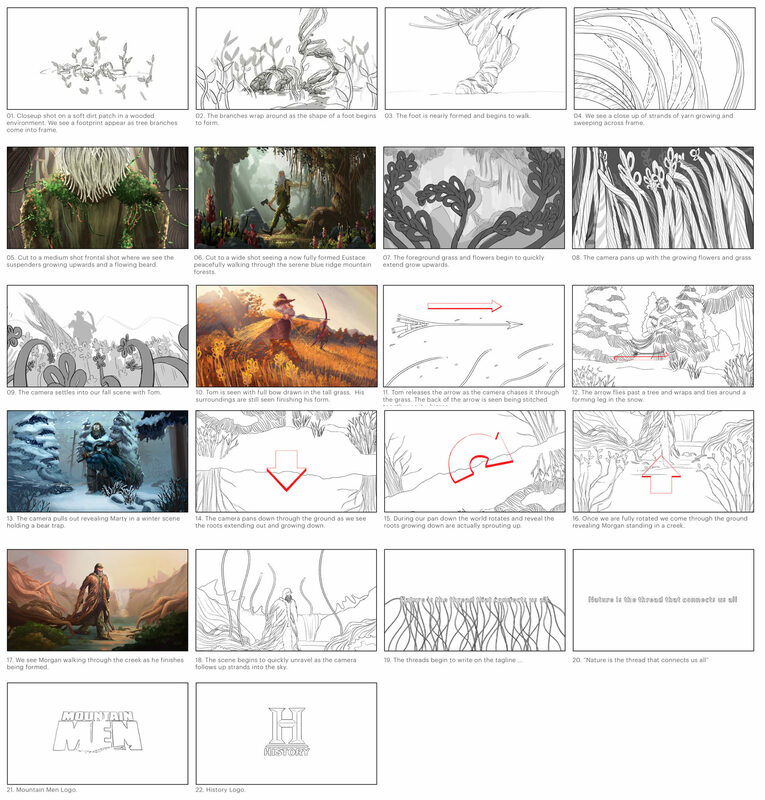 Here is a peek at some of the animation process that goes into a project of this scope.